Job well done! 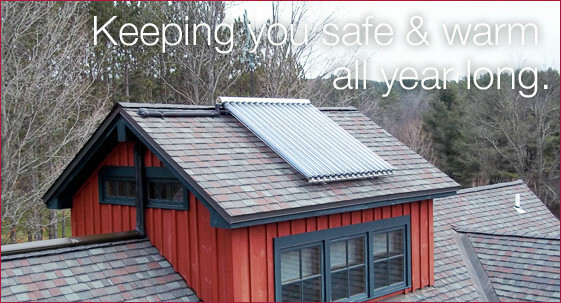 I am very pleased with HB Energy Solutions. I will definitely use HB in the future when needed! Your technician was knowledgeable and pleasant when dealing with a very nasty job. He left the work area clean – Thanks! The crew who were here to install heat pump and water heater were wonderful. They were helpful, nice and super wonderful to have around. Everything is working beautifully. Prompt and excellent service as always. Your company should be a role model for others regarding "what is customer service!!!" Your electricians did an excellent job at our facility and the other contractors on site praised them as the best they have ever worked with. Just want to let you know how happy I am with our new heating system! 7 degrees this morning and we are toasty warm with the thermostat at 65! As usual, excellent service and a job well done. You all handled a tough day in a professional manner. Thank you for the quick service. I have recommended your company to others for service. John did a wonderful job. All the noise in the pipes are gone. Thank you for coming so quickly! Now we feel safe! 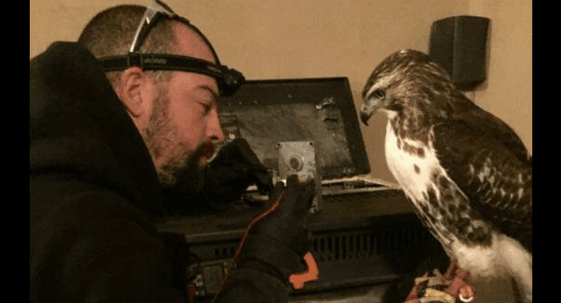 Roger has been servicing our heating equipment for years. Boy, oh boy! In all my years, I have never witnessed such wonderful team work amount co-workers! We were very, very pleased with Joe and John. 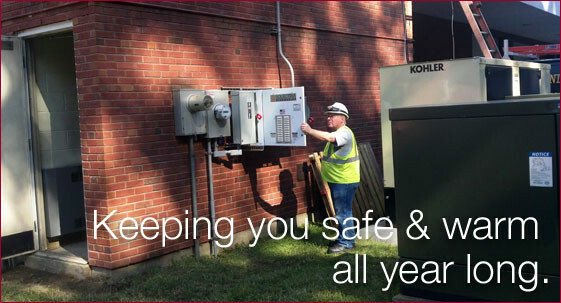 Joe explained how the generator service contract worked and talked us right into it. Both my wife and I are very happy with their work. Thanks a bunch! Technician was very friendly and helpful, explaining to me how my septic system worked and what he was doing. Service technician was at my residence within about 45 minutes or so of my call. Came, got right to work and had the issue fixed. Great service and very polite. Your heating tech did an excellent job. He was very professional. Thank you so much for getting someone right out and for not charging for an easy fix! Excellent work on the part of your plumber. Thank you for such prompt service. Dan is very nice, answers questions, very polite. Couldn't ask for a better person to do business with. Thank you for always being so accommodating and providing immediate solutions! John and Joe both were friendly, knowledgeable and competent. Your technician was an excellent representative for your organization. Thanks! I have been very happy with your service and your employees. The workers are friendly and knowledgeable. I will always call you first for all my plumbing and electric needs. Thank you to Brian for finding a solution to save my old pellet stove. The house is toasty warm and the stove has never run better. 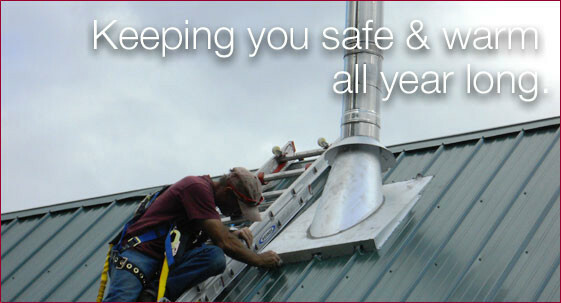 I highly recommend HB Energy for their professional service. Life is good! I always appreciate the fact that the person who works on the plumbing takes the time to explain the problem and repairs so clearly. Excellent work and prompt service. My newly installed generator is worth every dime I put into it because I lost power and it took over. I have already received my investment back and absolutely love the generator. Thanks to all involved. I can't thank Alicia enough. She calmed my panic and found a way forward to solve my frozen pipe problem. Great job Brian! Thanks so much! Stove is working like new, but 20 years old really. It is nice to know that there are still people doing business the way you do. Brad did a nice job and explained things well. Your technician not only was very knowledgeable, but also prompt, courteous and friendly. Good job! When I need you guys, you are always there for us. Michael was prompt, cheerful and very professional. 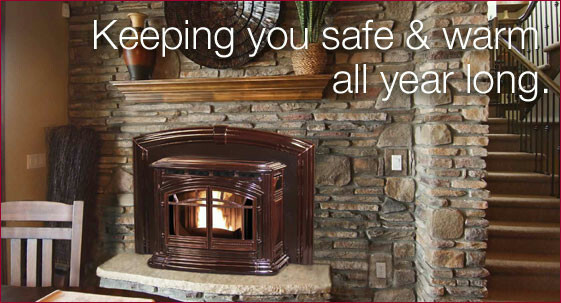 Brian was so incredibly friendly and did a great job cleaning our pellet stove. We had a part break and your company has gone above and boyond our expectations to get the part. We really appreciate your great service! Customer service has become a lost art. Your company always proves to be the exception. Thanks for the great service. Your technician was a pleasure to meet! He was most thorough and professional in ensuring a job well done. As always, very happy with your services. Mike did an incredible job with our energy assessment! Since I am a retired teacher, I was especially appreciative of the time Matt took to show me and explain what he was doing. He had excellent “teacher skills” and very soon had my furnace problem taken care of. Thank you for the extraordinary service, you all went over and above. Thank you so much. Rusty was very neat and did a super job cleaning up. Everything was explained to me. Everyone was nice! Jim is a professional, proficient and excellent salesman for your products. You guys were great!! Thanks so much Mike. Mike, John and Tyson saved the day. HB is lucky to have them, as we were. We really appreciated the friendly and professional demeanor of the technicians, who were both very skilled. I felt reassured and like my situation mattered when people phoned back. 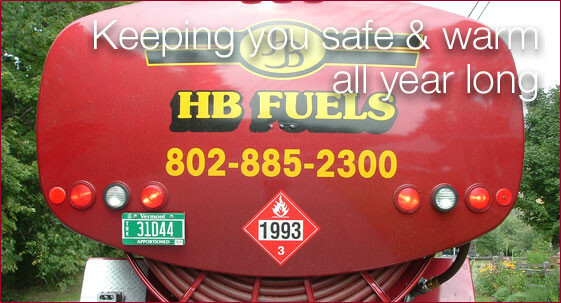 I have always been extremely pleased with all my business with HB! Your plumbers did a fine job. Everyone you sent has been good. It is nice to be recognized when I call. Your technician was unfazed by the canine security. 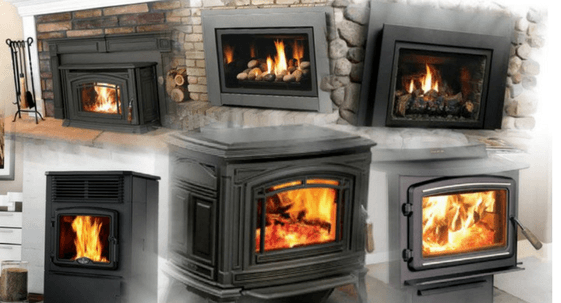 Love my new pellet stove! Thank you very much! Technician was very quick to solve problem. Brad was very knowledgeable and did a thorough job. Thank you for a very knowledgeable technician who found the source of the problem amazingly fast. Your electrician did a great job, and didn't even disturb the baby robins nesting on top of the electric meter. Doing business with you has always been a real pleasure, and I hope we will continue for years to come. I want to thank you for your outstanding service over the years. It isn't easy managing a property from a distance and HB's responsiveness and friendly accommodation are invaluable. Roland walks on water; he is awesome! Andy and Alex were fantastic. The technician was friendly, knowledgeable and efficient. Have had several wall heaters installed and have never seen copper line run as straight as your guys did. Even learned some things from watching them. Excellent job. Thank you for being the kind, caring people you all are. You have helped in so many ways. Technician listened carefully to my questions of concern and gave me an easy understanding of how the fireplace worked and the importance of having the propane fireplace cleaned. Thanks for prompt service. Your staff is pleasant to work with. John and his helper, who have been doing electrical work, are fantastic and we really appreciate their attention to detail and respect for our need to keep things as clean as possible. Jim does a great job - knows his "stuff"! Your electricians are wonderful and respectful. They did a great job! Outstanding first class service, on-time arrival and great workmanship on the install of our new water heater. It's hard to imagine a better experience. Thank you! 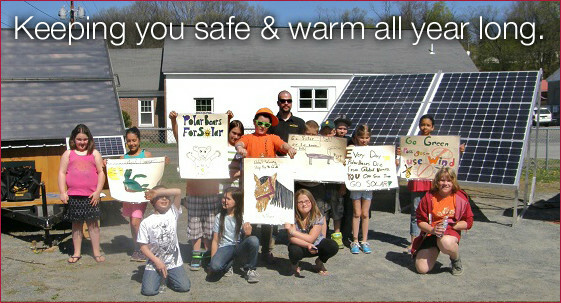 We are so happy to have solar. Eric and team are great! I really liked Rusty. He took the time to listen to me, then with that information troubleshot the problem. Then went a step further to assure that it won't happen again. Great work! Dan and Doug were great to work with! Good people make a great business, that's what HB is, an honest to goodness business. "One call. One company. We do it all!" 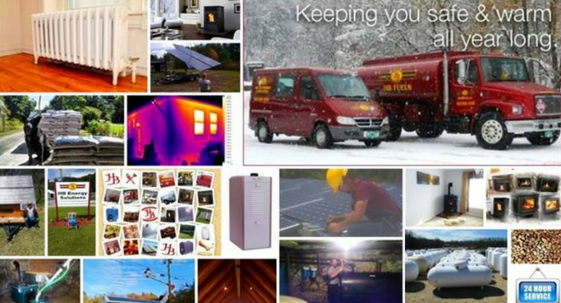 When you combine HB Energy Solutions’ professional services with our wide range of energy products, you get a reliable, local Vermont and New Hampshire energy company. 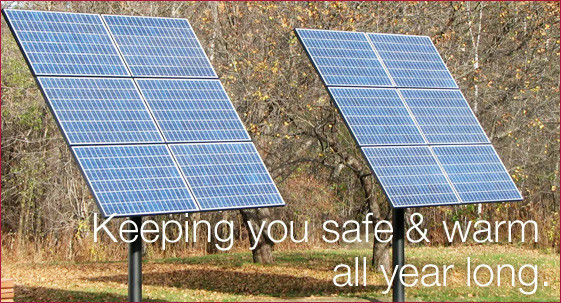 When you work with HB Energy, you have the benefit of an established business with local owners and professional employees. 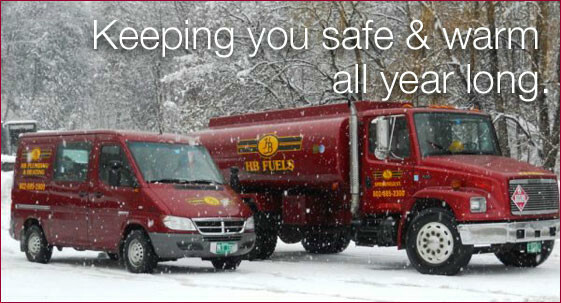 HB Energy Solutions is a well–established business that has built an excellent reputation by providing high quality services across Vermont and New Hampshire. At HB, we are committed to providing the highest quality products and service to our customers at a fair and reasonable cost. HB sets itself apart from many other companies in many ways. Our customers feel free to stop in at our office on Bridge Street in Springfield, VT, and talk with our friendly and knowledgeable staff members. 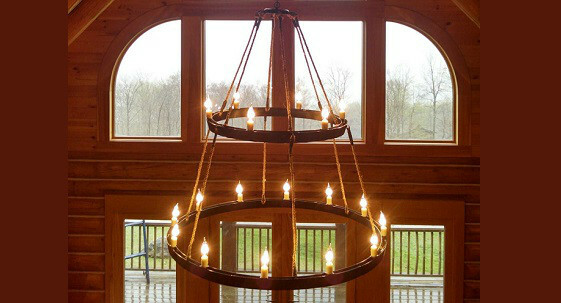 Customers may always request a free estimate for any of their upcoming projects. During business hours, our phones are answered by a live person who will answer your questions or put you in touch with someone that can. After hours, we have an answering service that will promptly page one of our on call technicians should you need emergency plumbing or heating service. 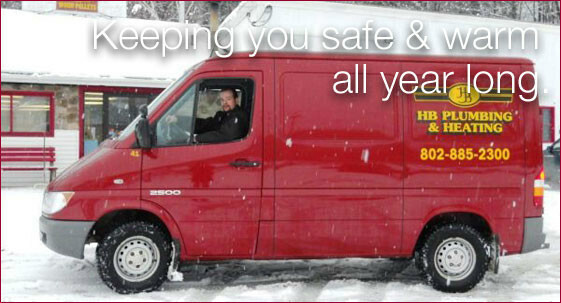 With 24 hours a day service year round, we provide peace of mind to our customers! 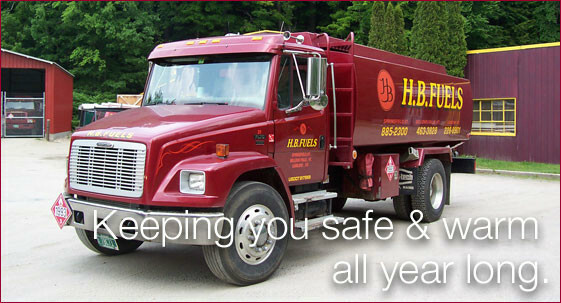 HB has the experience, and the unique variety of in–house services, to make your home and business run smoothly 24 hours a day, 365 days a year. 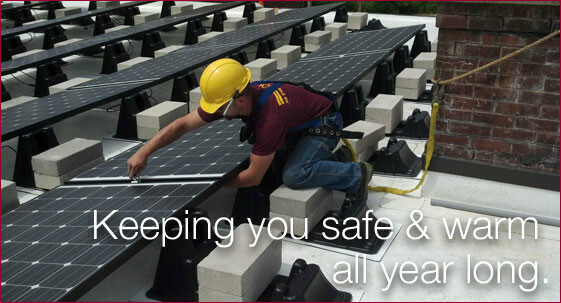 Our mission at HB Energy Solutions is to offer great services and products at a fair and reasonable price. 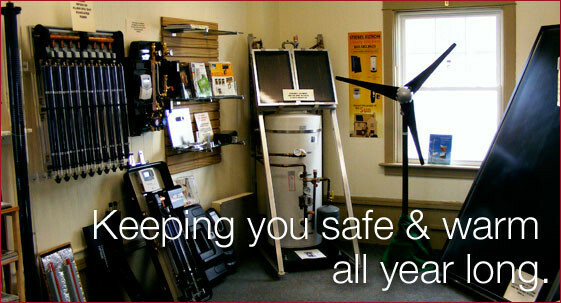 Call HB Energy Solutions for all your Vermont home comfort and energy needs! Are You Ready for a New AC Experience? In our last post, we talked about getting your home ready for the cooling season. What we didn't touch upon was potentially replacing your AC. 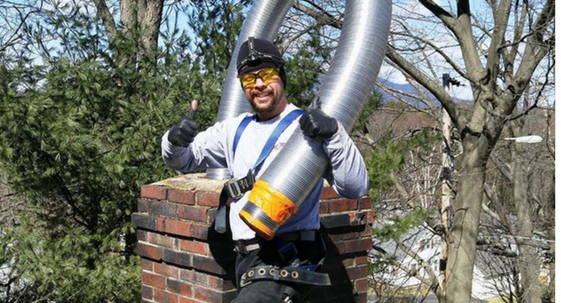 It won't be long before your ready for our AC services in Charlestown. Call for today's best pre-buy and fuel oil prices. Sign up for two or more fuels and save 10 cents per gallon on each. *Restrictions may apply. Call to confirm pricing. Prices based on minimum amounts.